Schitt’s Creek – Season 3 (2017) – What's New on Netflix Canada Today! 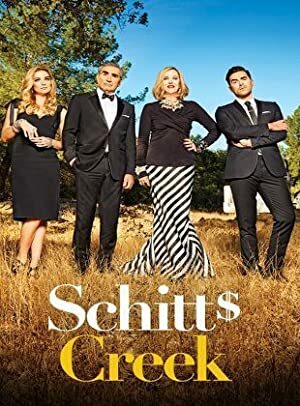 When filthy-rich video store magnate Johnny Rose and his family suddenly find themselves broke, they are forced to leave their pampered lives to regroup and rebuild their empire from within the rural city limits of their only remaining asset – Schitt’s Creek, an arm pit of a town they once bought as a joke. Suddenly broke, the formerly filthy-rich Rose family is reduced to living in a ramshackle motel in a town they once bought as a joke: Schitt’s Creek.